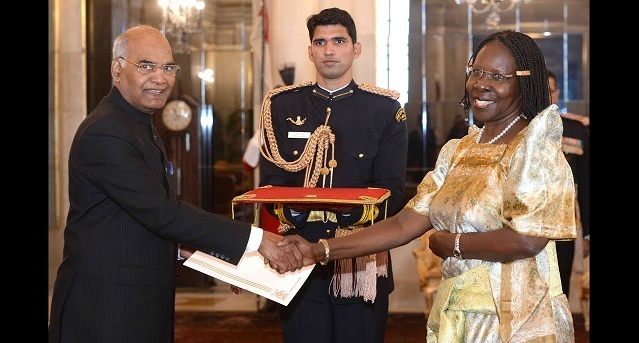 New Delhi: Ambassadors of Israel, Mali, Belarus, Lao PDR and Niger presented their credentials to the President of India, Shri Ram Nath Kovind, at a ceremony held at Rashtrapati Bhavan recently on 10th January 2019. 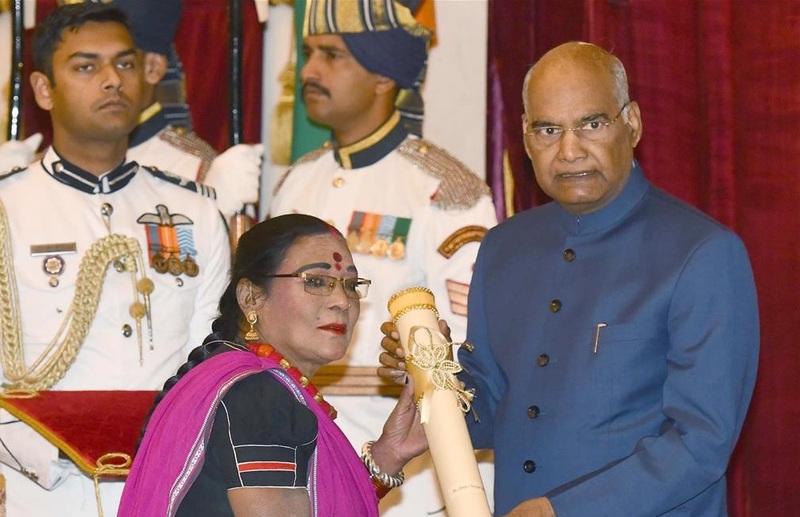 New Delhi: The President, Shri Ram Nath Kovind presented the Padma Vibhushan Award to Dr. Teejan Bai, at the Civil Investiture Ceremony-II, at Rashtrapati Bhavan, in New Delhi on March 16, 2019. 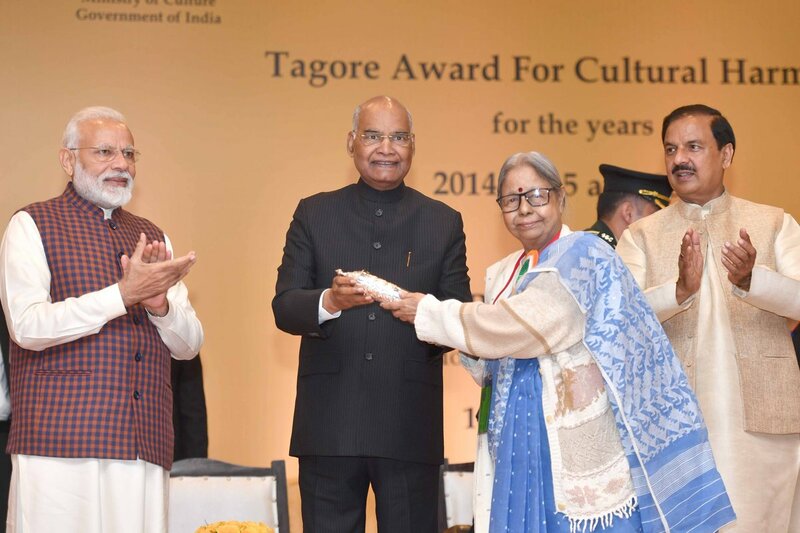 New Delhi: The President of India, Shri Ram Nath Kovind, presented the Sangeet Natak Akademi Awards for the year 2017 at a function held at Rashtrapati Bhavan on 06 February 2019. 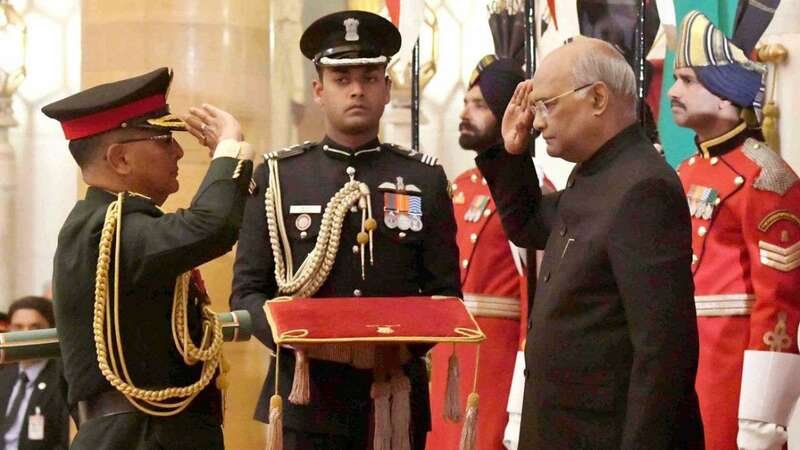 New Delhi: The President of India, Shri Ram Nath Kovind, paid homage to Netaji Subhas Chandra Bose on his birth anniversary at Rashtrapati Bhavan today on 23rd January 2019. 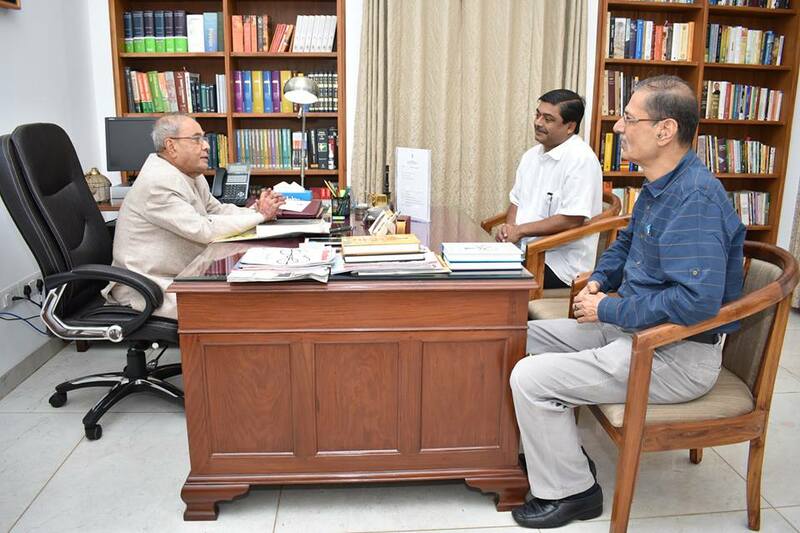 He paid floral tributes in front of a portrait of Netaji at Rashtrapati Bhavan. 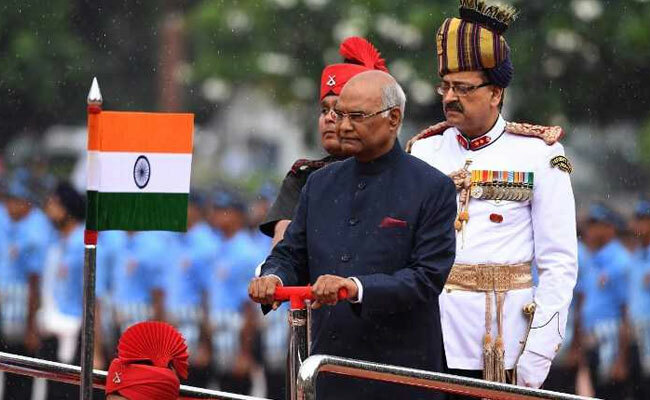 New Delhi: The President of India, Shri Ram Nath Kovind, will visit Uttar Pradesh (Prayagraj) tomorrow on January 17, 2019, to inaugurate the Gandhian Resurgence Summit. This Summit is being organised by the Parmarath Niketan, the Harijan Sevak Sangh and the Global Interfaith WASH Alliance. 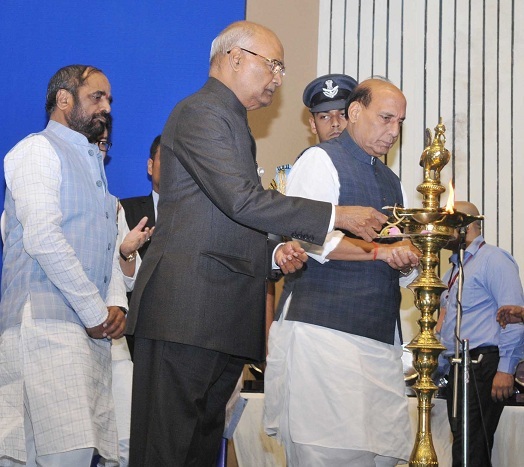 New Delhi: The President, Shri Ram Nath Kovind addressing the opening session of the 48th Conference of Governors, at Rashtrapati Bhavan, in New Delhi on October 12, 2017. The Vice President, Shri M. Venkaiah Naidu and the Prime Minister, Shri Narendra Modi are also seen. 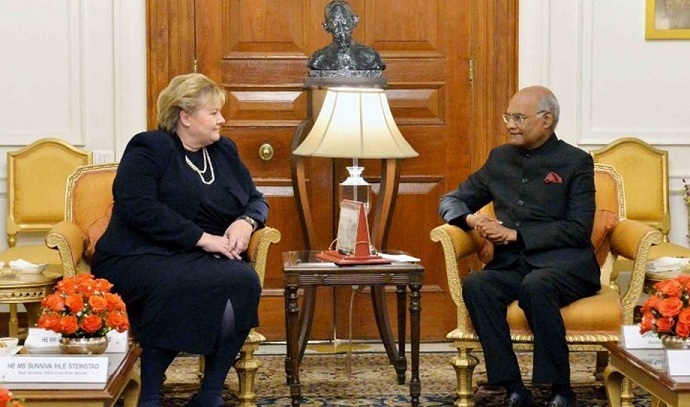 Former President of India in his new office. 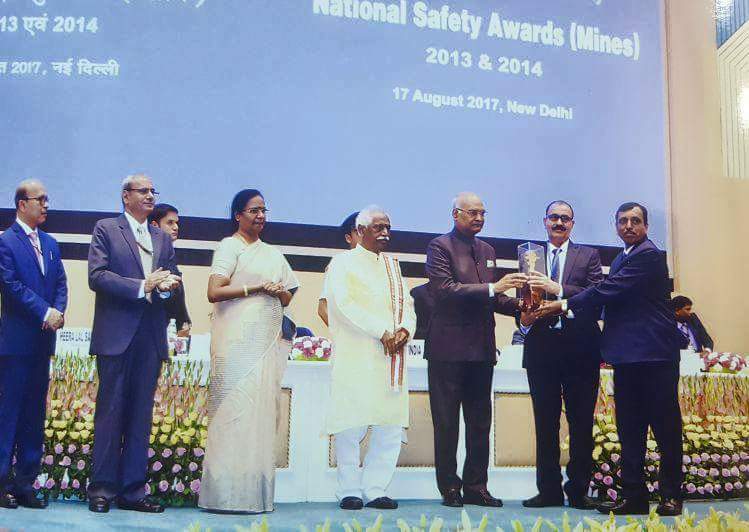 Honble President gives National Safety Award to W.C.L. 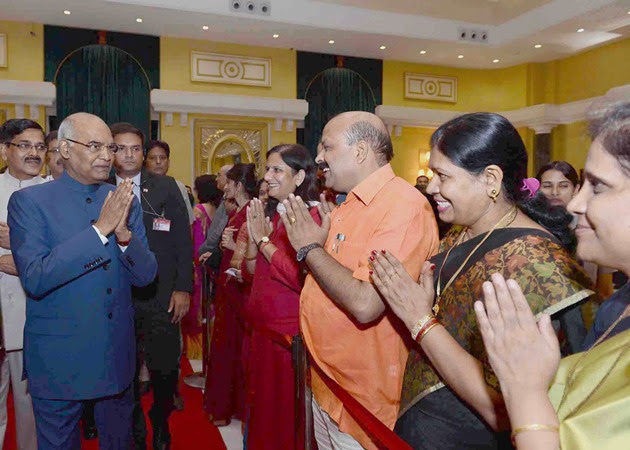 NEW DELHI: The President, Shri Ram Nath Kovind meeting the visitors at the ‘At Home’ function, organised on the occasion of 71st Independence Day, at Rashtrapati Bhavan, in New Delhi on August 15, 2017. 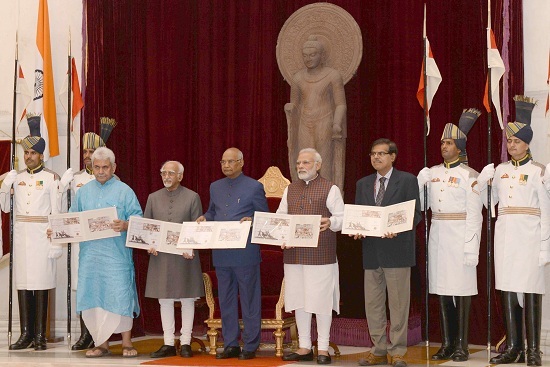 NEW DELHI: The President of India, Shri Ram Nath Kovind releasing a set of 8 Commemorative Postage Stamps, at the ‘At Home’ reception for Freedom Fighters, hosted by him, on the occasion of 75th Anniversary of the Quit India Movement, at Rashtrapati Bhavan, in New Delhi on August 09, 2017. NEW DELHI: The President, Shri Pranab Mukherjee interacting with the students at the inauguration of the Satya Bharti School-Kanidighi, in Jangipur, Murshidabad, West Bengal on July 14, 2017. 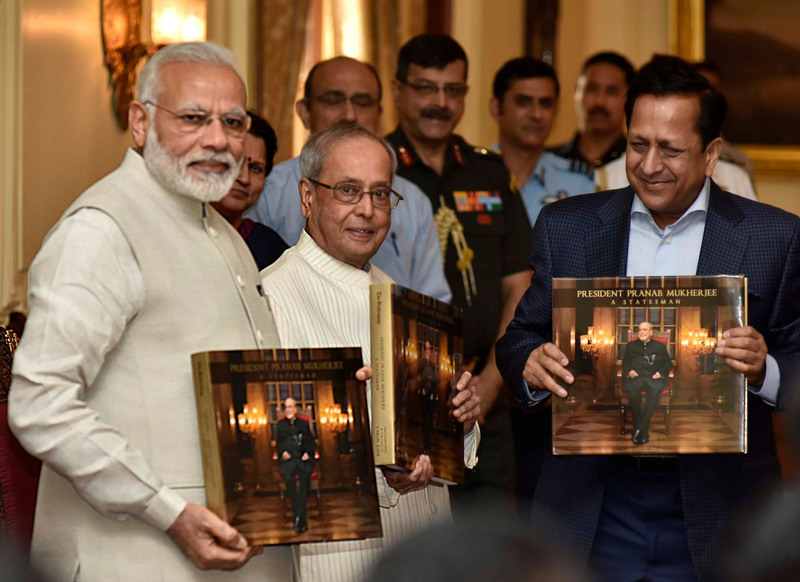 NEW DELHI: The Prime Minister, Shri Narendra Modi releasing the photo book titled “President Pranab Mukherjee - A Statesman” and presenting first copy to the President, Shri Pranab Mukherjee, at Rashtrapati Bhawan, in New Delhi on July 02, 2017.